﻿ The SAMP-T Conundrum: A Sign of A Deeper Malaise …? The SAMP-T Conundrum: A Sign of A Deeper Malaise …? 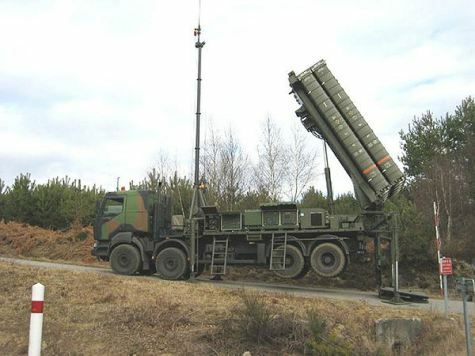 It struck Defence Analysis that “something is rotten in the state of Denmark”, when yet another European country has chosen to buy Raytheon’s Patriot over MBDA’s SAMP-T. Poland’s decision for its Wisla programme came as a blow, but then came the Romanian decision to follow suit, too. The decision in Poland can partly be explained by some strained relations between Warsaw and Paris – the decision to sell amphibious assault ships to Russia went down like a lead balloon in Poland, so there are long memories there …. But once a country which has had ever-deepening links with the core of Europe, as is the case with Romania, also opts for Patriot, well, summat is afoot! So, what is it that is obviously “wrong” about SAMP-T, and / or what is “right” about Patriot? First off: a high degree of the background of this analysis is based on what European leaders say in public about topics such as defence. Yes, we know, how endearingly naive, choosing to listen, let alone believe what people say! But bearing in mind that mid-June saw the start – agreed by all, now that the UK has headed for the doors – of the strengthening of European (read: EU-led) defence, surely it cannot be that wrong to judge people on what they say? And a key aspect of “European Defence” cash should be spent on European projects inside Europe, and not always on US default systems. It is entirely fair to suggest that the US has/is investing far more on an annual basis on Patriot – hence the plethora of different rounds for the different target sets, be they general air, ballistic missiles and the like. All fair and proper. • Italy is hardly an “anti-American” procurer of defence equipment, is it? Rome has a track record – F-16, AV-8B, F-35 to name but three – for opting for US equipment above European. In which case, why did Italy replace Patriot as its south-facing ATBM system with SAMP-T? • On the same line, why is it that Singapore, equally hardly opposed to buying American equipment, opt for SAMP-T? If this unconfirmed statement is to be believed, the SAMP/T order drought may soon end, although it is not clear how helpful the program’s two partners, France and Italy, want to be with Turkey. Other statements added that SAMP-T’s ATBM capabilities were superior to those of Patriot, and that this had been a major decider in the process. Bear in mind that many / most HAWK users upgraded to Patriot, so Singapore’s move has to be taken in that context. OK, it is fair to point out that there are only three users of the land-based system, compared to 13 export customers (so far …) for Patriot: do numbers tell the true capability story? Defence Analysis will put its hands up straight away to those who will point to the fact that it is very difficult to get exact numbers for costs. True: but it is still possible to get some pretty good ballpark figures from the sources available. Equally, why not try to see what data is available, to at least get a really rough, ballpark set of data? • The data on costs per battery – a lot of Defense Security and Cooperation Agency figures here – is pretty conclusive: a Patriot battery as sold is more expensive than a SAMP-T one. • Is this a sign of capability, though? Are Patriot radars and command systems simply better? • Possibly a key differentiator: Patriot batteries are simply bigger – more “stored kills”, less risk of being swamped, less logistic trouble of re-loading etc. • A sample of three users is arguably too small to make a proper analysis, but it seems strange that the SAMP-T battery size seems almost “inflexible” in its size. • Is MBDA’s sales pitch that with a better radar, a better C2 system, a better missile, you don’t need as many missiles per battery? If so, there are too many signs that the pitch isn’t getting traction. • It is strange to see that the average missile cost comparing the PAC-3 with the Aster 30 is about the same across the 15 years of data that Defence Analysis has collected at $8-10-million. • Possibly no surprise that these weapons do similar tasks, although the Aster 30 is longer-ranged. • On that basis, Aster 30 would seem to be relatively “cheaper” – longer range, possibly higher performance for about the same as a PAC-3. 1. SAMP-T is not more expensive than Patriot, so this cannot be an explanation of why it isn’t selling – to the contrary, there is data to the opposite view. 2. MBDA’s sales pitch for SAMP-T might be failing to hit the audience properly. Yes, it is possibly – probably? – a statement of the bleeding obvious: countries still look to buy US defence equipment so as to get a US security guarantee. Everyone knows this. But Defence Analysis will take this one stage further: each and every major procurement from the States – Patriot, F-35 – shows that those taking the procurement decisions in many European countries simply do not believe that Europe is capable of providing a serious, a credible security guarantee. So, to mitigate Europe’s security / defence failures, people buy from the USA – it’s that simple. Which means that if President Macron and Chancellor Merkel want more European procurement, they need to understand this dynamic: until European forces are credible, European procurement won’t be. This could well take some time to change the equation, and it will take money and effort – you can’t do this type of thing on the cheap. Until then, Defence Analysis will continue to follow “the SAMP-T Conundrum” …. Oh, and as one small pay-off line: if European defence is so vital, then why are France and Germany both buying C-130Js? And why is Berlin so keen on continuing to work on the CH-53K? Just saying: physician – heal thyself …. (EDITOR’S NOTE: On July 4, well after Defence Analysis was published, Reuters confirmed that Turkey had selected the SAMP/T as the basis for its future National air-defence system.